Easy to Use – No Mess! No Fuss! 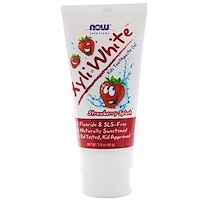 Dissolve 2 to 3 tablets under the tongues 4 times per day. If you prefer, tablets may be dissolved in a teaspoon of water then given to the child. 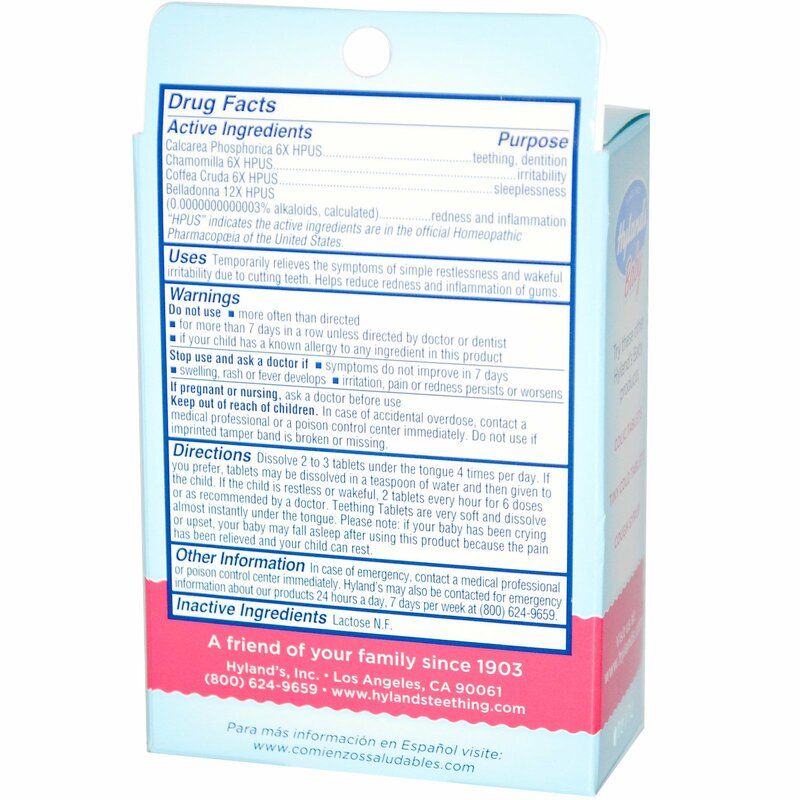 If the child is restless or wakeful, 2 tablets every hour for 6 doses or as recommended by doctor. 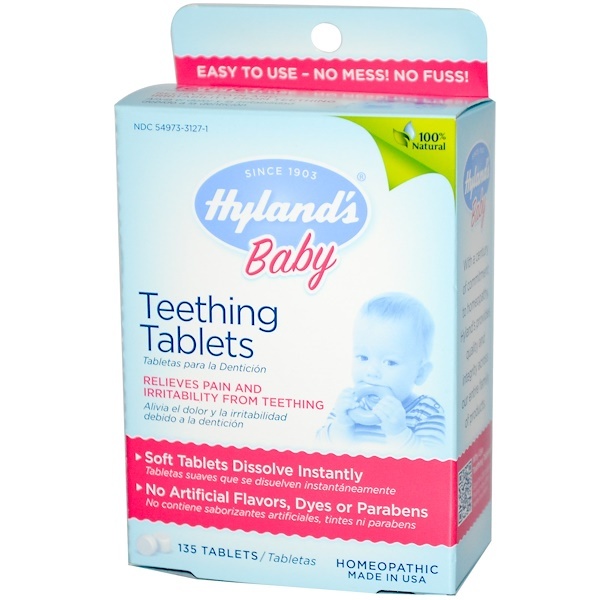 Teething Tablets are very soft and dissolve almost instantly under the tongue. Please note: If your baby has been crying or upset, your baby may fall asleep after using this product because the pain has been relieved and your child can rest. Keep out of reach of children. In case of accidental overdose, contact a medical professional or a poison control center immediately. Do not use if imprinted tamper band is broken or missing. In case of emergency, contact a medical professional or a poison control center immediately. Hyland's may also be contacted for emergency information an about our products 24 hours a day. 7 days per week at (800) 624-9659).